A decision on a new business park at East Newtonleys in Stonehaven was deferred this week as councillors agreed to a site visit. 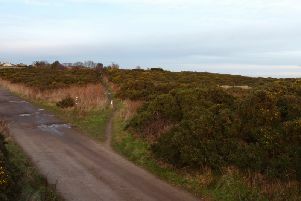 Members of the Kincardine and Mearns Area Committee were considering Bancon Developments and Dunecht Estates’ application for Planning Permission in Principle for a business park, which is proposed on land to the south of Stonehaven, adjacent to the A92 and its junction with the A957. Representatives from both the Catterline, Kinneff and Dunnottar Community Council and the Stonehaven and District Community Council addressed councillors, and both expressed the opinion that, while they were not against the plans, they wanted assurances over the potential impact upon drainage to the Glasslaw burn and ultimately to the Carron river, as well as strengthing of responsibilities for the maintenance and inspection of the drainage proposals. Cllr Wendy Agnew proposed a site visit to gain a better understanding of drainage and transport issues that are associated with the applications.